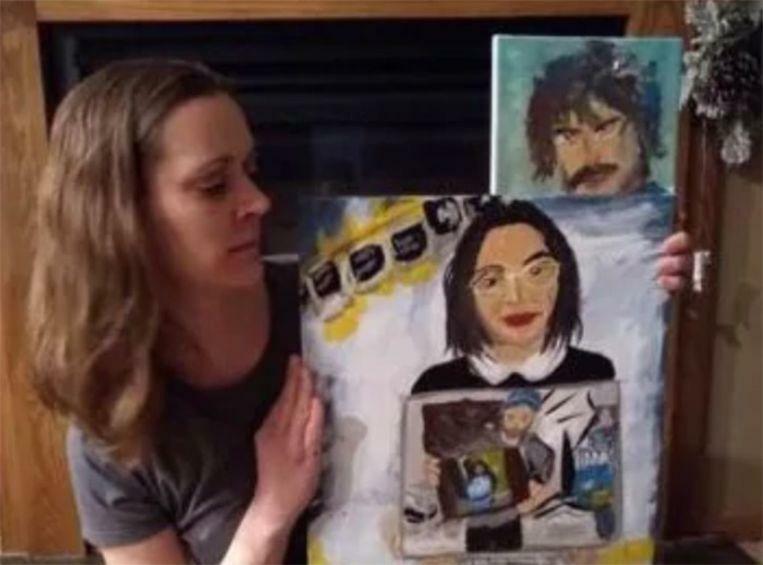 ©Reddit - Cindi Decker with her original painting. 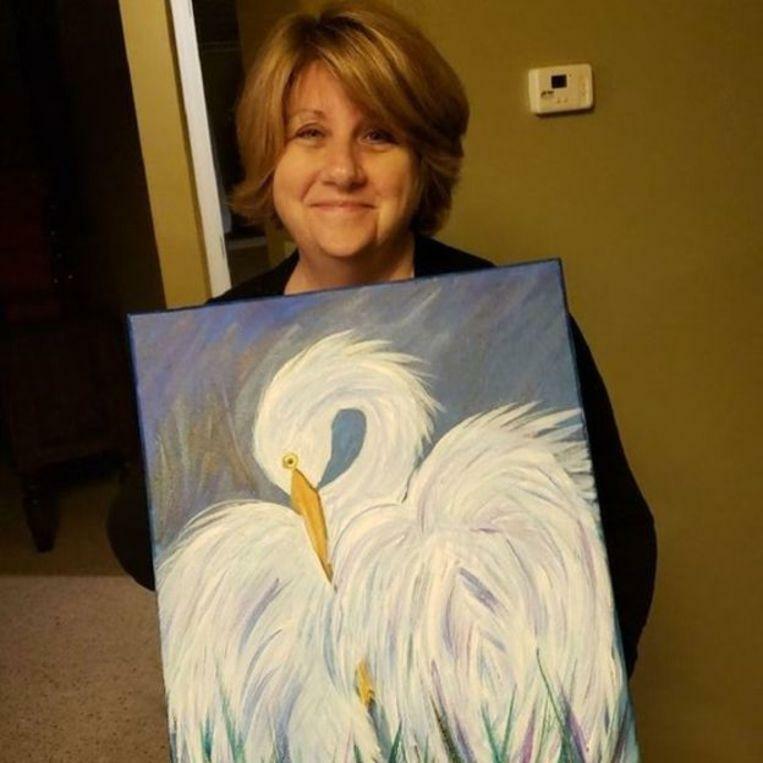 Cindi Decker, a 55-year-old teacher from Florida, her painting of a bird – but her second one – did not bother, but her son Matthew proudly placed it on Reddit. That led to a wacky dominance reaction on social media. Promptly more than 24,000 people voted the post up, as it goes on Reddit. But that was not all. The next day the eye of the Swedish artist Kristoffer Zetterstrand was photographed and he got an idea. 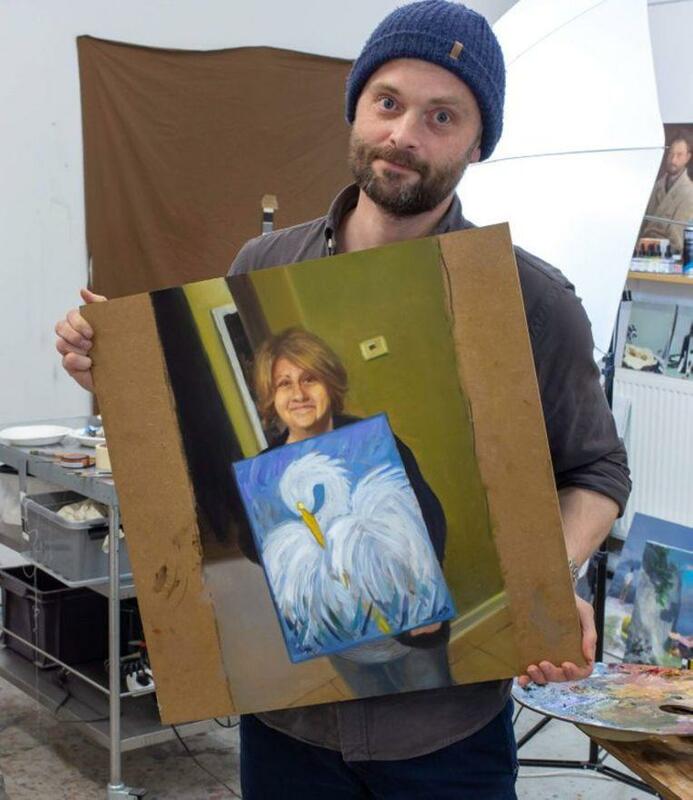 He painted the image of the posing teacher and posted his own artwork on Reddit. “I painted someone’s mama”, he said. It was the beginning of a chain. 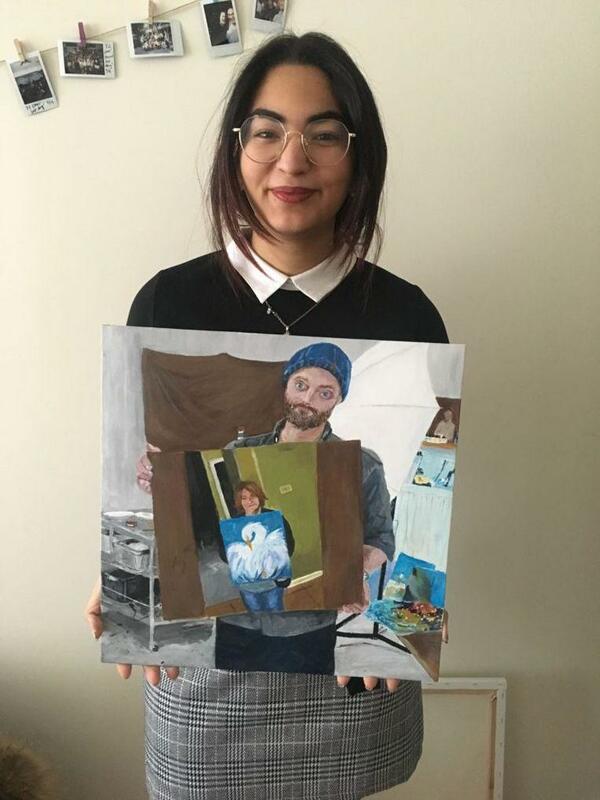 A Canadian journalism student, Leila Amer, did the same with the painting of Zetterstrand and made a portrait of the Swede who showed the drawing by Cindi Decker who held her own painting of the bird. Amer wrote on Reddit: “It took a while and it is not perfect, but I painted a man who painted the mother of another man”. Then it was up to Traci Sethre, who in turn took a step up, followed by Travis Simpson, who said he spent a whole night in his contribution. And so, it went on and on, to more than forty participants. At the Washington Post, Zetterstrand who started the domino game said he thought its “hilarious and crazy”. He received thousands of reactions. “It is actually touching,” he concluded. Cindi Decker herself could not help but make her debut on Reddit to thank her fans. She did that under the witty name ‘imthemomwhopaints’ (I am the mother who paints). She said she feared the hard comments in advance. “You have all proved my wrong”, she wrote. ©Reddit – More than 40 people eventually participated. 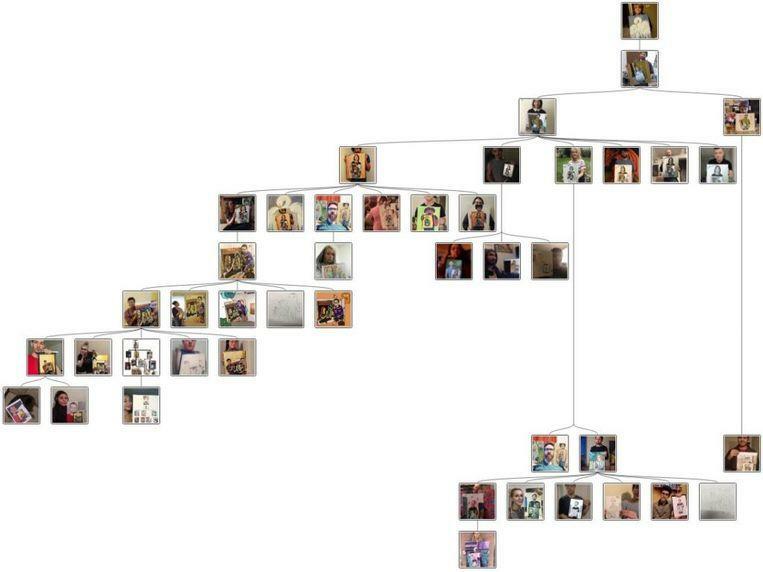 Someone made this overview.